Amsterdam is full of wonders. From the Red Light District to the Begijnhof, from vegan fast food to caviar dinners, you can find whatever you’d like in this city. 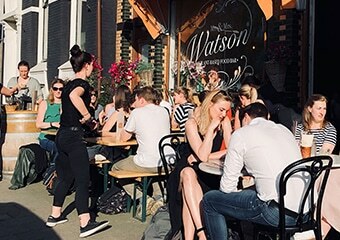 Here at Max Brown, we get that every day calls for something different, so we have selected insider tips for the broadest of cravings. 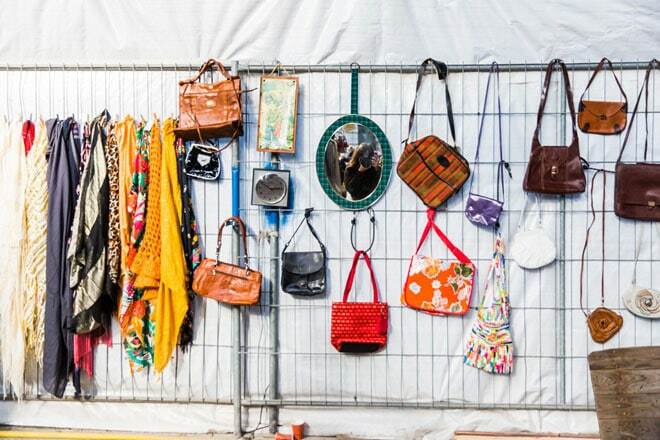 Arts & Culture, Amsterdam on a Dime, Indulgences, Conscious and Fancy. Amsterdam North is a breeding ground for new, young and experimental, and you get there by a free ferry. One of the best restaurants there is Pllek, and its menu is 75% vegetarian and 25% vegan. It also has a stage, and every genre takes the mic. 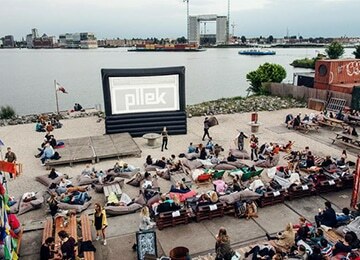 During the summer, it becomes an outdoor cinema, a mini-festival venue, an art gallery and a yoga school. Check out their website for all their upcoming events. 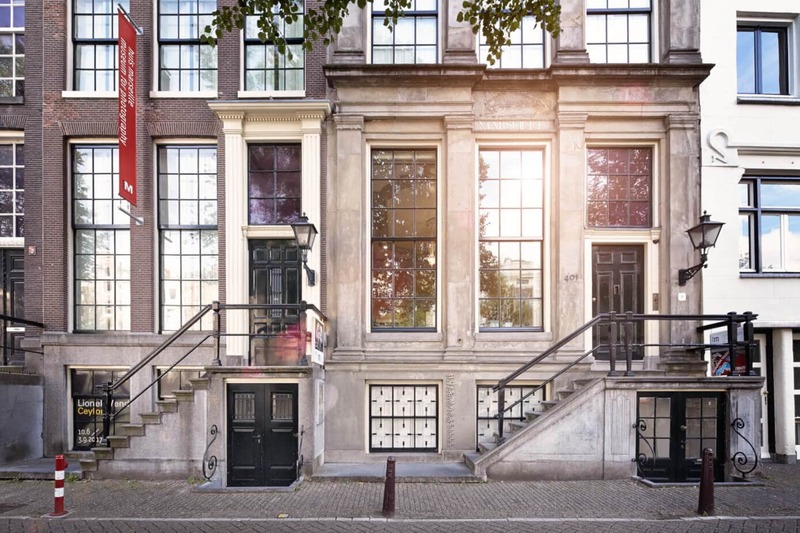 FOAM, located on the pituresque Keizersgracht, is a photography museum featuring national and international talent. The exhibitions vary from photography to visual installation to graphic works. 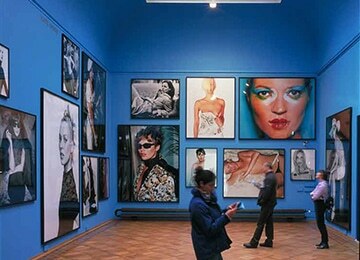 The combination of the exciting exhibitions in the historic building is an experience in itself. Keep an eye on the website for updates on the current exhibition. 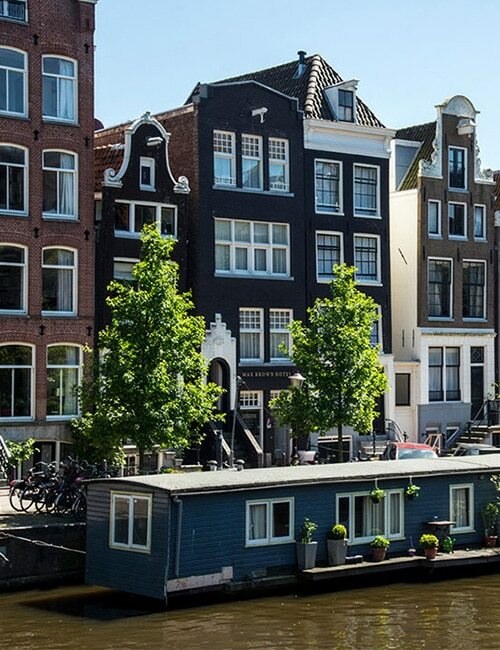 Built in 1663, this immaculately preserved canal house in the middle of the city’s center has a little secret in the attic. 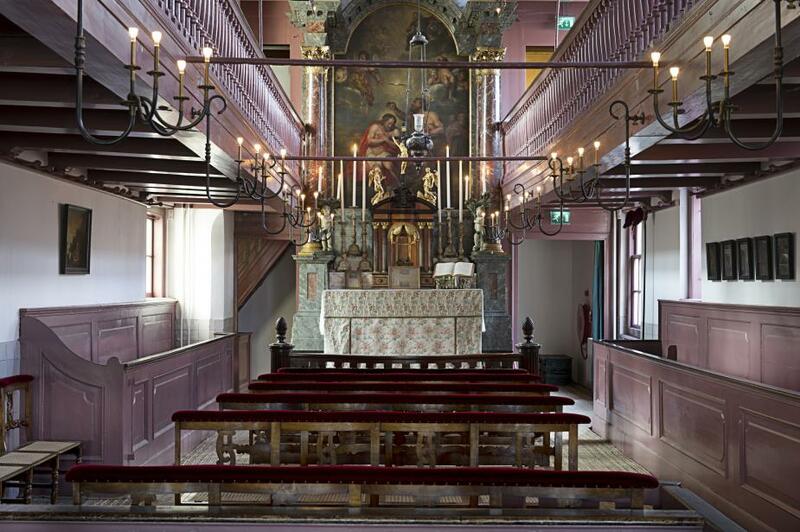 In the Dutch Golden Age of the 17th century, Catholic masses were forbidden under Protestant rule. That didn’t stop a merchant from buying and combining three canal houses and building a hidden Catholic church on the top floor. It’s one of the most cherished museums in the city. This stately canal house from 1665 has a little secret of its own. 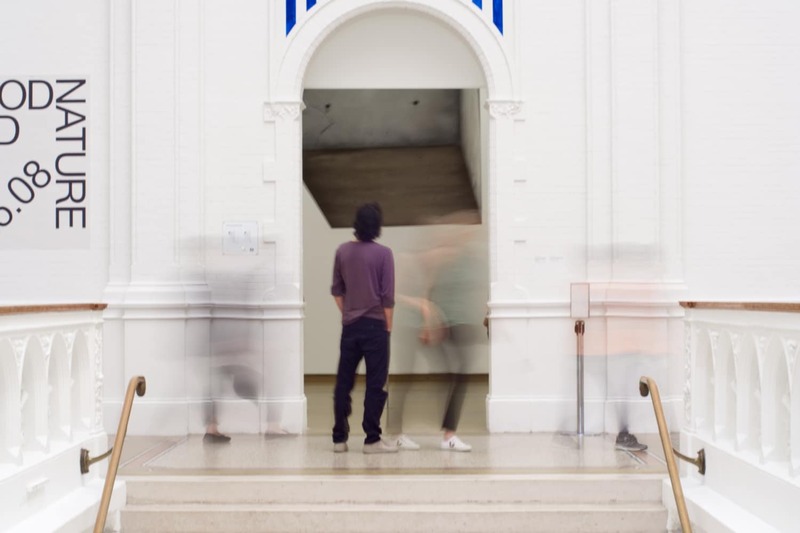 Walk inside and you’ll soon realize you’re in the city’s first photography museum and among some of the most world-renowned photographs in the world. The building’s historical architecture and design are worth the trip alone. Check out their website to see what exhibitions are currently on display. 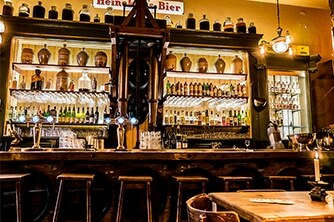 If you really want a taste of Dutch culture, go to this genever proeflokaal (tasting room). Genever is the Dutch precursor of gin, and its main ingredient is the juniper berry. Here, you can try 17 different genevers, and when you inevitably need some food with that, order their variety of Dutch cheeses and charcuterie. 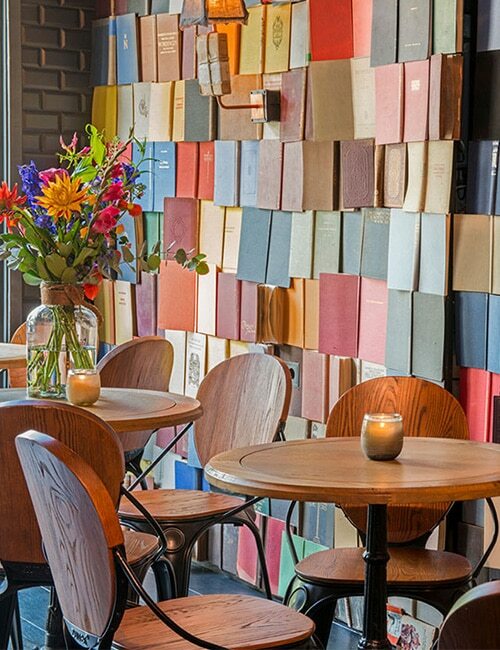 If you want to stay for dinner, the proeflokaal always offers old school Dutch dishes. 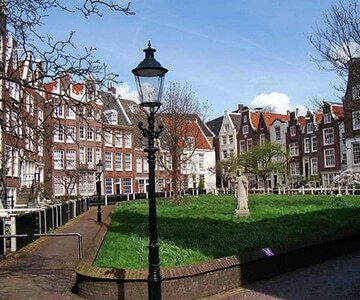 On Spui, right in the middle of the buzzing city, there’s a door that leads you to an oasis of silence: The Begijnhof. It housed unmarried religious women between the 13th and 20th centuries, and today it’s still a women-only community. We definitely recommend a visit to experience the sacred feel and gorgeous architecture. Oh, and the entrance is free! Go here for the scenery and generous three-course meal for only €9.50, facilitated by the Rainbow Group, an organisation that supports people in social poverty. 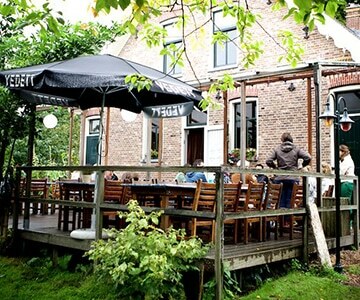 The farm is located in Westerpark, so after your meal, you can take a leisurely stroll. 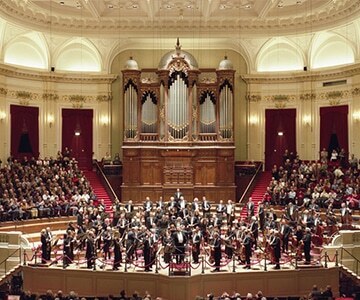 Every week—with exception of the months of July and August—a Free Lunchtime Concert takes place in The Royal Concertgebouw located on the edge of Museum Square. The concerts range from public rehearsals by the Royal Concertgebouw Orchestra to chamber music performances by young up-and-coming artists. If you want to see some art but don’t want to pay an entrance fee for the bigger museums, stick to the smaller galleries. 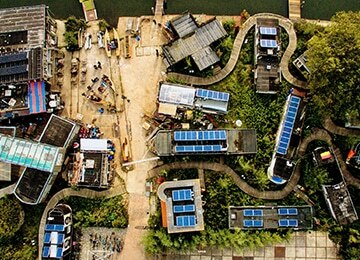 Besides the fact that you don’t have to pay to get in, owners are usually very excited to talk to you about the works. You can find loads of smaller galleries around Spiegelgracht, which is close to the Rijksmuseum. 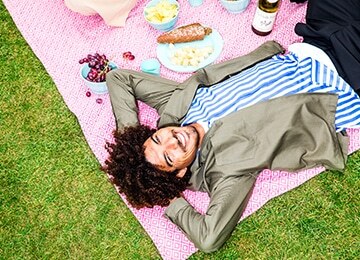 Depending on the weather, a lunch in the park is a good way to save some money. You can go to Albert Heijn, the famous dutch supermarket, to buy some lunch. If you come from the galleries, settle down on Museum Square. From there you have a good view on the beautiful Rijksmuseum. The most famous park, Vondelpark, is just around the corner from Museum Square as well. This park is huge, vibrant and filled with lush, green trees. 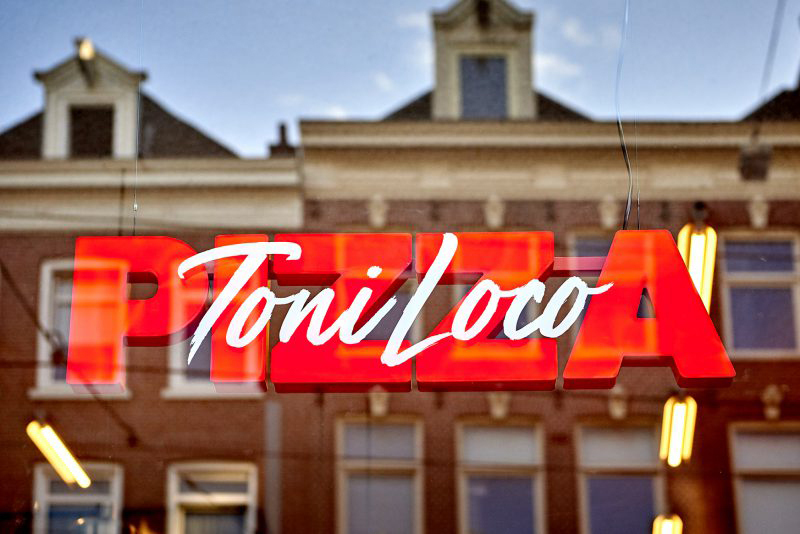 If you’re looking for a glass of champagne and an elevated slice of pizza, look no further than TONI LOCO, the quick, casual Italian-American pizza spot right in Amsterdam’s buzzing De Pijp neighborhood and just down the street from famous Albert Cuyp Market. Get the exact giant slice you want by choosing your own toppings, and be prepared to lose your train of thought when you take a bite. 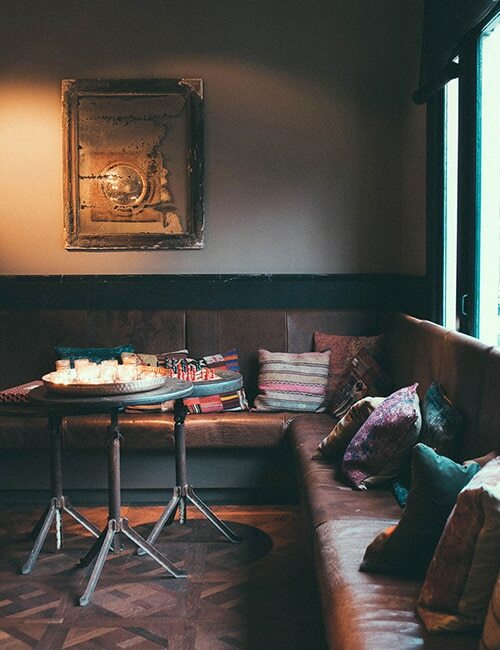 This is a really nice place for brunch after sleeping in one of Max Brown’s famous beds. G’s a Really Nice Place offers a range of lavish American dishes. If you want to feel like you’re in the South, go for the Dirty South—cheddar waffles with fried chicken, bacon, sour cream and topped off with hot sauce. 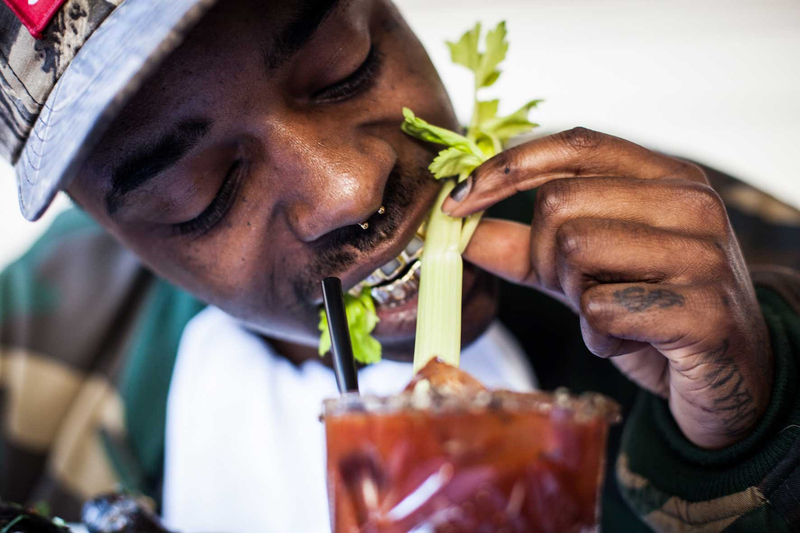 And being the ultimate brunch spot, G’s has a separate Bloody Mary menu. 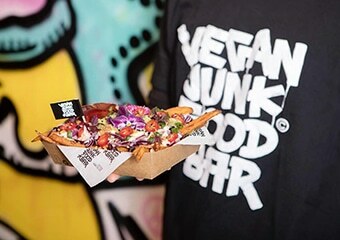 While you’re at it, go for the Bloody Ridiculous, where “ridiculous” refers the toppings, which includes bacon, fried chicken, celery and much, much more. Feel like having the best burger in town? (Who doesn’t?) The Butcher is where to go. 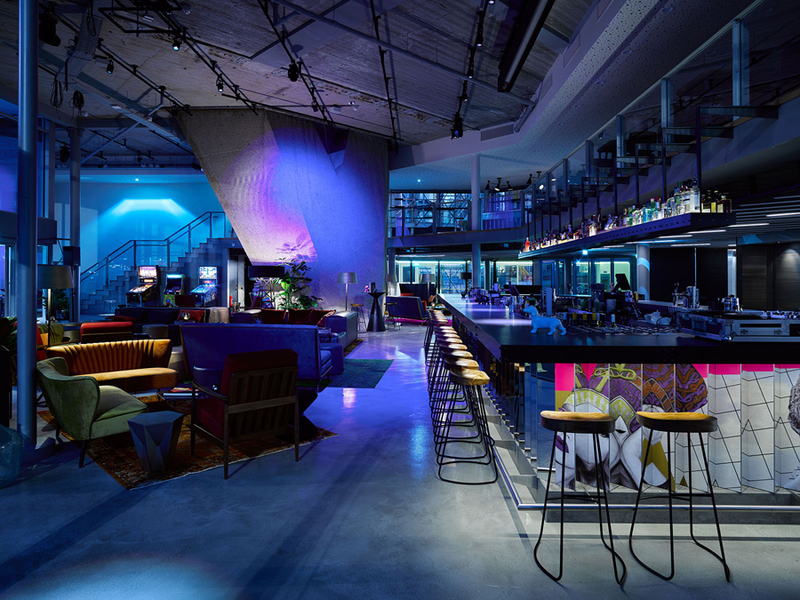 You can choose from one of four locations in Amsterdam. Each location, just like the food, has an easy-going vibe, and any dish you order is great. We strongly recommend the truffle burger accompanied by some sweet potato fries. If you have room for a milkshake, don’t hesitate to order a spiked one. 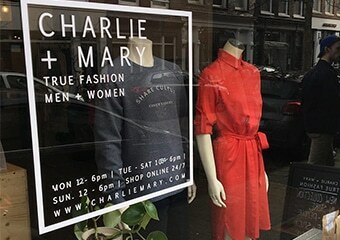 If you want to shop some sustainable fashion and lifestyle products, make sure to stop by Charlie + Mary in De Pijp on Gerard Doustraat. The employees of this finely curated store are always up for a little chat. This cute restaurant is fully vegan, and their specialty is a cheese platter. Yes, they have an award-winning vegan cheese platter, because they understand that giving up cheese is a hard thing to do. Even if you’re not vegan, this restaurant in Amsterdam East is definitely worth a visit. 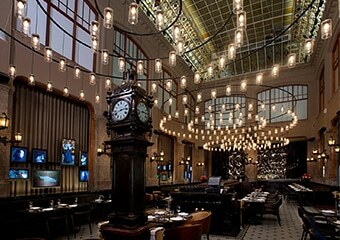 A former bank, now a magnificent restaurant. 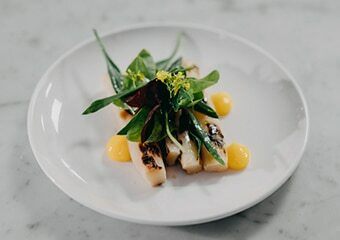 If you have something to celebrate or simply feel like having a fancy dinner, we highly recommend The Duchess. When you go, don’t miss the Spaghetti with Beluga Caviar. Fancy galore. The words “Asian fusion” don’t do IZAKAYA justice. 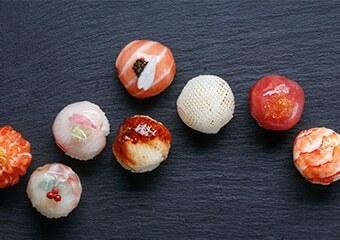 If you can get a reservation, the concept of this sleek Amsterdam hotspot is Japanese with a South American twist (think padron peppers with yuzu miso), and their cocktail menu will change the way you think of sake.